Think of a painting, the visual impression of the paint layer, a digital image of the paint layer, a settlement in the background of the painting, Madonna with Child in the foreground. Which is which and why. We may need to update the scope notes to be more precise. Martin Doerr and Eyvind Eide will Check the notion of incorporation if it can cover analogue to digital, FORTH will write an example. WRT the issue "P65 - P138-P67 guidelines", we were in the last meeting confronted with the question how to represent the relation between an analogue object and its digitization. The FRBRoo property "R14 incorporates" appears to assume that the content of the incorporated Expression can be recovered from the incorporating Expression. Applying that to the digitization of a painting, we come to the conclusion that neither one incorporates the other. Rather, the digitized painting is an approximation, normally in the RGB channels, of the original under standardized (if at all) daylight conditions. The quality of the approximation depends on resolution, lighting, color channels and color calibration. So, any digitization has a different relationship to the original. The only common relation appears to be the intention to represent as good as possible the original, and details are parameters of the digitization process. As such "Image X. is digitization of: Painting Y" can be seen as a kind of "P138 represents". If we take the true reflectance properties of the analogue original as an instance of E36 Visual Item, the digitized image can also be regarded as a derivative, i.e., the "is digitization of" as a kind of " R2 is derivative of (has derivative)". In case of "discrete information objects" as we describe in: http://arxiv.org/abs/1201.0385, a digitized image of adequate resolution, such as of a newspaper page, indeed "incorporates" the original analogue representation of the Information Object, as its intended features are completely recognizable on the digital image. Hence, the decision, if a digital image incorporates an analogue resource depends on the adequacy of the process and the type of the original, and therefore is additional knowledge that cannot be inferred from the fact of being product of a digitization process only. However, being product of a digitization process appears to always allow for inferring that the digital represents and is derivative of the original. Similarly, the degree to which we can objectively decide if a digital image can stand for being a visual item shown by a physical man-made thing : "P65 shows visual item", depends on the same arguments as the "incorporates" property: In case the digital "incorporates" the analogue, the digital can be inferred to be a visual item shown by (P65B) a physical thing, for instance an inscription text. "This property documents an E36 Visual Item shown by an instance of E24 Physical Man-Made Thing or an adequate visual approximation of it." This is a few notes on the analogue to digital part of the issue, that is: digitisation. It is clear that "the digitized painting is an approximation" (issue 205 notes). When it is stated that "any digitization has a different relationship to the original. The only common relation appears to be the intention to represent as good as possible the original" (issue 205 notes), that intention is covered by the word "copy". "Incorporates" is excluded, as the issue 205 notes states. "Represents", "is derivate" and "copy" all cover the process of digitisation quite well. Digitisation must be separated from retro-conversion. Retro-conversion (transcription or OCR of texts) creates a symbolic expression based on an interpretation of the original symbolic expression. The signs will often travel through an intellect, otherwise it goes through an algorithm of pattern recognition. Doerr et.al. has shown that the latter can be perfect (given certain conditions). Digitisation is always imperfect. It is to create a digital image, a spatial item, based on a view (a painting, a statue, etc., seen from a certain perspective) through equipment such as a camera or a moving CCD system (scanner). It is causal in the sense that it is based on waves/particles, where light emitted/reflected from the original is captured by a light sensitive piece of equipment. This light does not travel through an intellect, even if an intellect in engaged in setting up the digitisation equipment, run the process, etc. Digitisation is different from a reproduction not in how similar the image is to the original, but in the process behind its making. In the case of a reproduction information travels through an intellect. So, which of the CRM properties best express the causal relationship between original and digitised version? "This property is also used for the relationship between an original and a digitisation of the original. Digitisation is here seen as a process with a mechanical, causal component and do not depend on any visual similarity identifiable by observation." It should also have one or preferably two examples: one straight forward scanning and one strange example, multispectral scanning or something. An archaeologist of the right sort can come up with something, I assume. Should we also make a note of photocopy? yvind Eide will check if there are some objective criteria. Also this should be combined with issue 203. "This property establishes the relationship between an E36 Visual Item and the entity that it visually represents. Any entity may be represented visually. This property is part of the fully developed path from E24 Physical Man-Made Thing through P65 shows visual item (is shown by), E36 Visual Item, P138 represents (has representation) to E1 CRM Entity, which is shortcut by P62depicts (is depicted by). P138.1 mode of representation allows the nature of the representation to be refined. This property is also used for the relationship between an original and a digitisation of the original by the use of techniques such as digital photography, flatbed or infrared scanning. Digitisation is here seen as a process with a mechanical, causal component rendering the spatial distribution of structural and optical properties of the original and does not necessarily include any visual similarity identifiable by human observation." 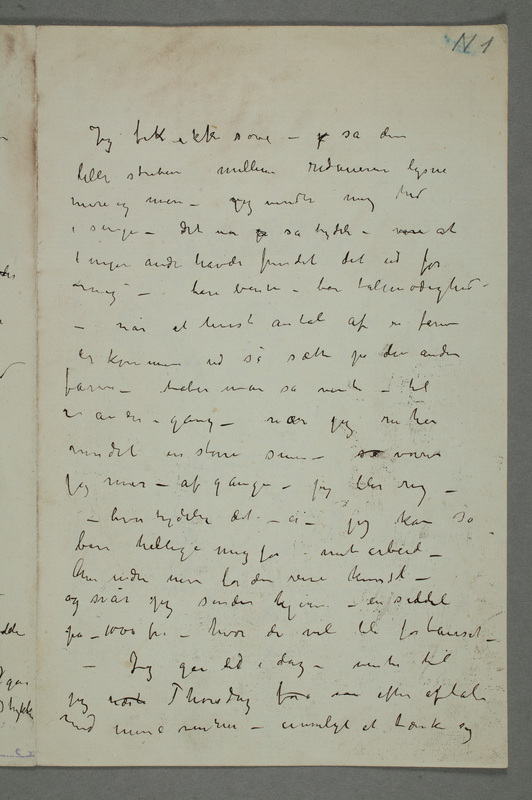 The following example has been added: "the digital file found at http://www.emunch.no/N/full/No-MM_N0001-01.jpg (E73) represents page 1 of Edvard Munch's manuscript MM N 1, Munch-museet (E73) mode of representation Digitisation (E55)"
Also MD will give an example from 3D coform.